This year's North Miami Brewfest will take place on Saturday, November 10, 2018 at MOCA PLAZA in North Miami. 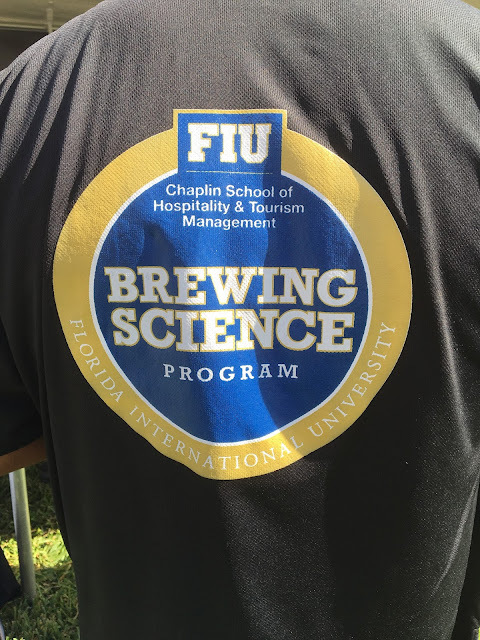 This beer festival is organized by FIU's Chaplin School of Hospitality & Tourism Management. This is a very fun event and a showcase for the local craft brew industry, brewpubs and local homebrewers. In addition to local breweries pouring samples of their beers, there will also be several educational seminars delivered by the school's faculty and industry experts. This brewfest actually benefits the school's Brewing Science Program, so you'll see lots of students volunteering. Several local restaurants will also be offering food samples from their restaurants. And the best part, the beer, food, seminars, music and activities are all included in the price of the tickets! I've been to this event several times and give it an A+! The people are all friendly (you'll definitely have fun and make some new friends), the food is delicious, and you should absolutely sign up for one of the seminars! You can follow on Instagram here and be sure to use hashtag #nomibrewfest for any social media posts. You should. It will be fun!